Hannaford Cause Bag program sales from last week! $6.00 donation to Ossipee Public Library! That brings this month’s total so far to $19.00. With a little over a week left as in this month’s program, now is the time to remind your supporters to get out and buy the bag. Here is another social media post to cut, paste and share! 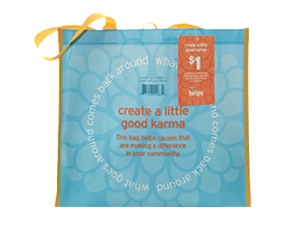 Visit the Hannaford store at the 891 NH-16, Ossipee location, and purchase the Hannaford Helps Bag before the end of the month! Head straight for the reusable bag rack and grab a few of these great bags. Each bag purchased generates a $1.00 donation to Ossipee Public Library!